The hydraulic pump is one of the many parts of your hydraulic system that must be kept in tip top shape in order to guarantee good performance from your equipment. When your pump fails, your work will grind to a halt. 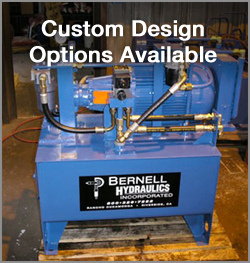 The good news is that Bernell Hydraulics is here to help with hydraulic pumps repair Colton CA. We stock plenty of pump parts for the do-it-yourselfer, and we also offer full service repair if you’d like one of our techs to fix the pump for you. If your hydraulic pump is beyond repair, we can help you find a new one. We stock a variety of pumps from high-quality brand name manufacturers and you can rely on us to source your new pump in record time. We can deliver it right to your work site and install it in your machinery if you so desire.